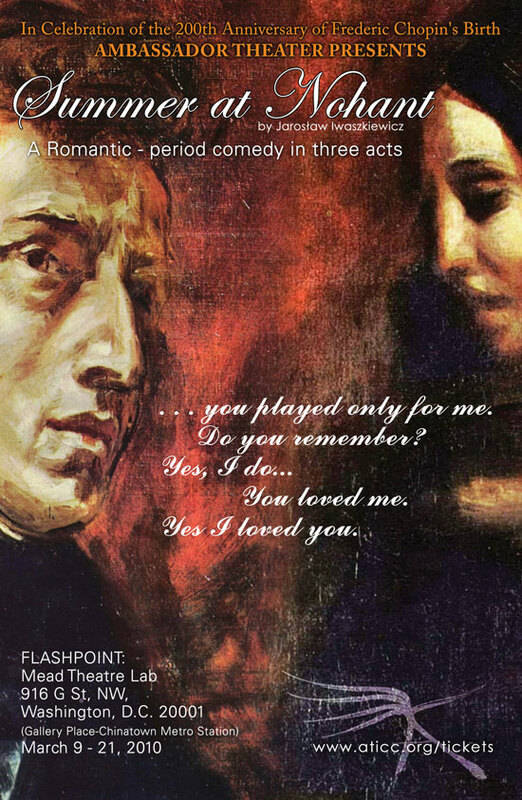 Summer at Nohant, a Romantic-period comedy in three acts, celebrating the 200th Anniversary of Fryderyk Chopin’s birth. George Sand, the famed French writer and emancipated woman, brings together artists at her celebrated summer estate in Nohant. Chopin, one of her lovers, echoes the longings and frustrations of the inhabitants as he composes his Sonata in B minor. His music is transcendent and affects everyone in the household.